8 Outstanding Symptoms Of Kidney Failure You Need To Know To Control Them - ShareIt! Acute kidney failure is a serious disease characterized by poor blood filter in the kidneys, they stop their function of filtering causing accumulation of residues in the body that can be fatal. Approximately 2 million nephrons are found in the kidneys and filter about 3-4 liters of blood every 5 minutes, 24 hours a day and 7 days a week, which is why the kidneys have a significant role in maintaining the healthy body because they not only clean the blood but also maintain the ideal balance of salts and minerals in the body. 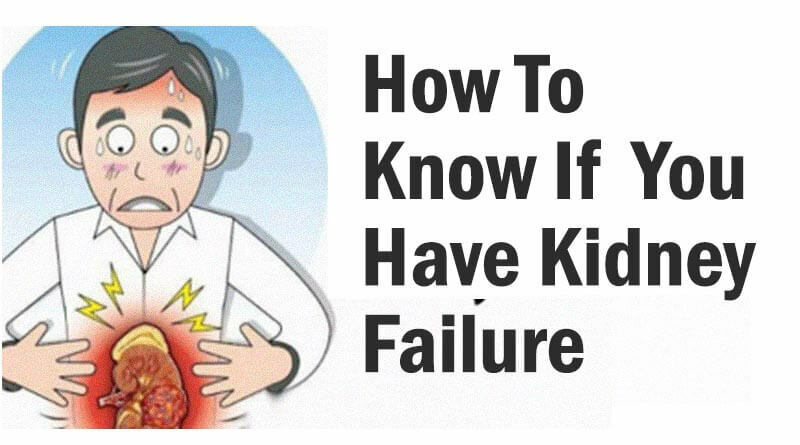 This symptom is one of the most characteristics of acute renal failure and therefore listed as one of the first and is that any malfunction of the kidneys is a sign that the blood is not being purified, which in turn in accumulation of waste. Fluid retention can generate swelling in both the legs and feet and is one of the easiest signs to detect to check if your kidneys are adequately meeting their function or not. Erythropoietin or EPO is a hormone that is produced in the kidney and controls the secretion of red blood cells, so that, when they stop working, the production of the same hormone is affected and causes fatigue and loss of energy. If you feel dizzy and tired during the day and you also notice a change in texture in the urine, you should not delay the visit to the doctor. The anemia normally generates less concentration, malfunction of the kidneys and also diminishes the blood supply to the brain, making the concentration is deficient. Often, those with acute kidney failure have to deal with problems of nausea, lightheadedness, and inability to remember things. Acute renal failure can be complicated by other serious illnesses, sometimes the symptoms go unnoticed or may be attributed to another underlying disease. Usually, when you are under suspicion of suffering from such a disease, a series of blood and urine tests are performed. The following alterations may occur: reduced urine volume (less than 500 milliliters), increased blood urea and creatinine, and high electrolytes such as potassium. Occasionally, an abdominal ultrasound and a renal biopsy may be necessary to determine the cause of acute renal failure. The faster the disease is determined, the more likely renal failure is to be restored, as this disease causes permanent loss of renal function and those who suffer require constant dialysis or kidney transplantation in order to survive. There are also other factors that predispose the onset of this disease: advanced age, chronic infection, diabetes, hypertension, immunological disorders, renal and hepatic base problems, prostatic hypertrophy and bladder obstruction. As you can see, kidney function is quite important in the body, if you are under one of the symptoms mentioned at the beginning, go to the doctor immediately for prevention, the faster you control it, the better quality of life you can have.